A closer look at my understanding of “Drives” in dog training. Now, as a disclaimer, I will go ahead and say that I am not the original creator of any of these theories. They represent the knowledge that has been passed on to me from several trainers who were better at training than I will ever be. But more importantly this is the definitions that make sense to me based on my personal experiences and observations of dogs training in the protection, police, or sport areas. The majority of this has been collected over the last 15 years through written materials, notes taken in various training seminars, research, or one on one instruction. It is important to understand at the onset of reading this that you will and most likely have heard several definitions or theories of canine drives. I often tell students in law enforcement and K9 classes I teach that they should learn from every instructor or trainer that they have a chance to work with. That does not mean that they should agree with everything that the instructor says or teaches. We have an analogy in law enforcement circles that your training and experience is like “tools in a tool box”. The more you learn the more tools you have in your toolbox. Think of a trainer as a hardware store. You don’t go to the hardware store and buy everything you need at one time. What you do is take away one or two tools at a time that you need to get the job done while building your collection. Try to take away one tool from every trainer you meet. It was late during the year of 2000 when I put my first “working dog” leash in hand and started serious dog training. I remember the experience like it was yesterday. I felt like I was learning to dance, it felt awkward. The instructor was giving me all types of crazy (or at least I thought at the time) instructions. Lead with this foot, praise with this hand, that’s not the right tone of voice, stand up straight, move backwards, and the list goes on and on. Since that day I have had the opportunity to train, handle, work with, be involved in, or be a witness to hundreds of working dogs being trained. I was exposed to multiple breeds and training styles and had the opportunity to work with some of the most amazing trainers in the industry. With all of that being said, I still learn something new all the time. One of my original instructors told a tale about the “original dog handler.” As the story goes, the original dog handler lived thousands of years ago and had developed all of the perfect techniques for training the perfect dog. As the “original dog handler” was nearing death he wrote down all of his knowledge, tips, and techniques onto many sheets of paper. 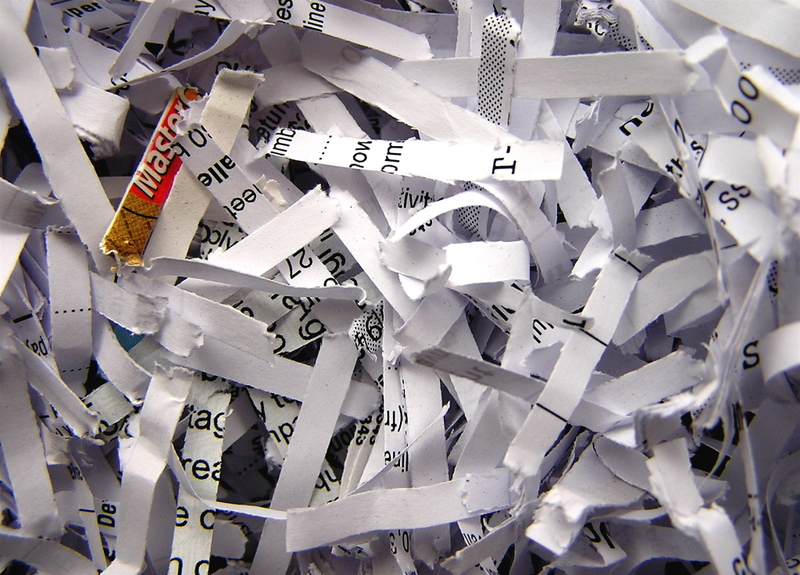 He then tore all the pieces of paper up into little pieces and cast them into the wind. Since that day bits and pieces have surfaced but no one has put together all of the pieces to get the “perfect training techniques” or the “perfect dog.” Take what works for you and let others do the same. If by chance you happen to run across the “perfect trainer” with the “perfect dog”, run like hell! It’s either a ghost or a liar. The bulk of my career has been spent in the training and handling of law enforcement or protection dogs. 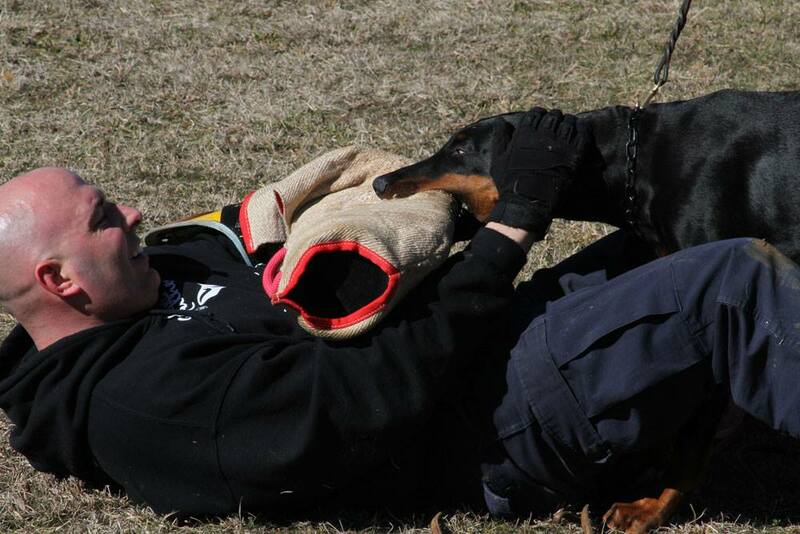 However, I have spent time with trainers and handlers in the Schutzhund sport over the years and have come to learn a lot about the origins of Schutzhund and the path of the sport over the years. This is the area and group to where my conversation about “drives” will likely cause some conflict. The dog psychology is very different from ours, they see and perceive things differently than we do. One of the biggest mistakes that I see people make in training or communication with their dogs is to apply human logic to a K9 situation. In order to be an effective trainer, handler, decoy, or helper, we must understand how dogs view life in general and what makes them respond to certain situations or forms of stimulus. To help organize this topic we will break the dogs overall behavior down to a system of behaviors and instincts that we can analyze. B EHAVIORS: Any time you see a dog working in any field of training the dogs actions or reactions are the result of two behaviors: Genetic and Environmental. Genetic Behavior is determined by the dog’s genes, what he is born with, this is where the dog’s potential is stored or limited by their genetic makeup. Environmental Behavior is learned through environmental conditioning (Training). I NSTINCTS: The dog’s instincts are based largely on that of the two facets of preservation. Preservation of self and preservation of species. These Instincts are fulfilled by a dog’s DRIVES and enhanced by the CHARACTER TRAITS. Drives are genetic, inherited from their bloodlines. Drives can be enhanced or diminished through training, but not created or eliminated. Dogs will revert to their drives, not to their training when placed under stress. TRACKING DRIVE – The attention, ability, and effort to follow ground disturbance odors, to seek out and find prey. AIR SCENT DRIVE – The attention, ability, and effort to follow wind born scents. RETRIEVE DRIVE – Desire to bring back prey or objects to handler or leader. PLAY DRIVE – Drive for physical contact with pack members. PACK DRIVE – Drive for emotional contact with pack members. FIGHT DRIVE – Drive to challenge and measure physical prowess with rivals. SURVIVAL / FLIGHT DRIVE – Drive to flee or protect self from real or imagined danger. RANK DRIVE – To achieve higher rank in the pack. May challenge handler or other dogs. GUARD DRIVE – Drive to warn or intimidate intruders by barking, growling, or biting to stay out of territory. Of the listed drives there are six that result in aggressive (biting) responses and are the most important to our protection training. Now, now, now, I know what you are thinking. But what about DEFENSE ???? “Defense” is a term commonly used with European dog sports. These sports have had a huge civilian and political influence over the years which I believe has led to the muddying of the waters so to speak when it comes to the understanding of the drives by the participants. Listening to someone using the term DEFENSE I often hear them describing behaviors associated with fight, guard, rank, and survival. Basically the term DEFENSE has become a “catch-all” phrase for any aggressive behavior other than PREY. So I think the problem with this is that it is an over-simplification of dog training behavior that can easily cause confusion. Especially to those who are new to training or sport. I prefer to differentiate the dog’s behavior by utilizing the corresponding drive, from the list above, that it may be working in and avoid the term DEFENSE all together. I have found that analyzing the behaviors and drives in this way will allow me to understand a dog and get much better results in my training efforts. It has allowed me a much better overall picture of what may be going on in a dogs mind and a clearer picture of the canine body language. The biggest problem with the term DEFENSE that I have encountered while working with hundreds of handlers is that everyone seems to be referring to something different when talking about it. There seems to be no universally accepted definition or collective understanding of the term. PREY DRIVE– is the easiest drive to recognize and to comprehend. Prey drive is the subconscious urge to chase, catch, and vanquish prey. PREY DRIVE can be broken into two distinct categories. Small prey drive (This is where another common term BALL DRIVE fits into the equation but we will save that for another blog post.) and large prey drive. PREY drive is a comfortable place for the dog during training. There is little to no stress on the dog and it does not feel threatened. This is playtime for the dog. 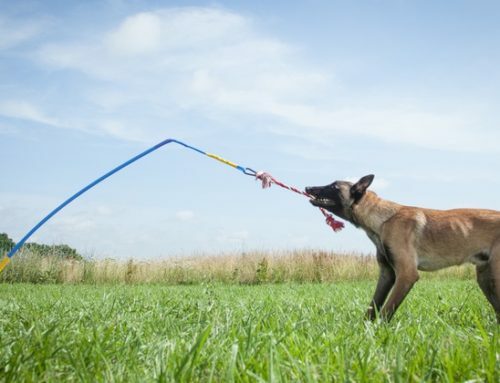 PREY drive is important in our training regimen and is the starting point for teaching the dog. It is important because it allows for us to get the dog to understand the game, to get the dog on the sleeve. But probably most important we can use prey drive as a stress reliever while working in and building training in other drives. 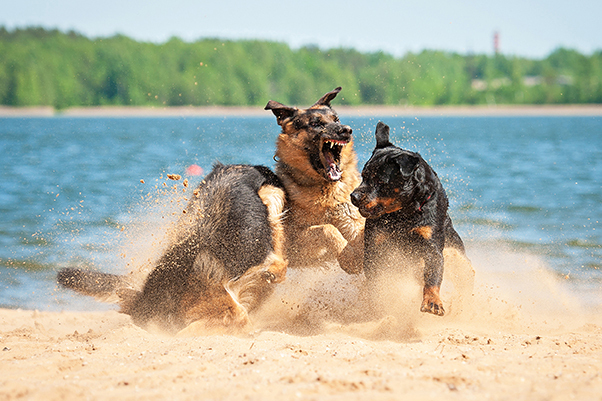 If all we had to have to be successful in bite work, sport, or protection was PREY DRIVE then we would have many, many, more breeds of dogs who were suited for bite work. A Labrador or Spaniel can have small PREY DRIVE off the charts but still could not handle protection training. Small and large prey drive works in conjunction with one of the dog’s character traits, COURAGE. Let’s explore that relationship a little bit to gain a better understanding. 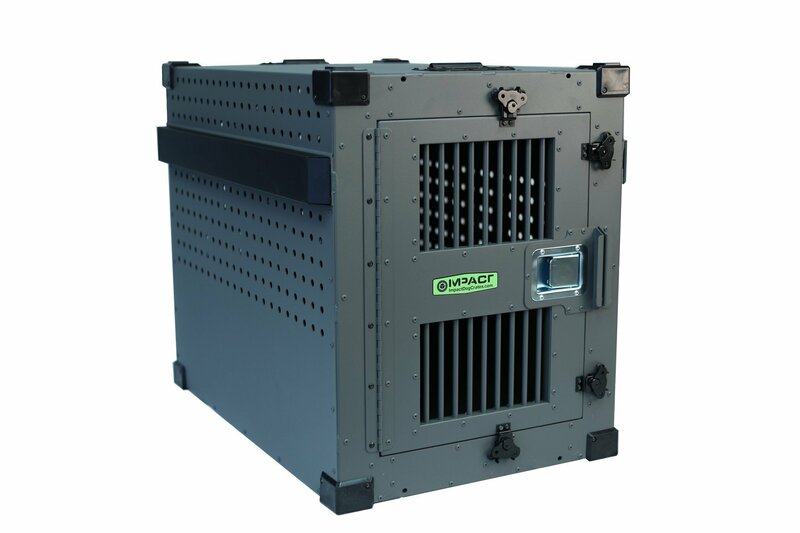 A dog with high large prey drive and high courage will excel at protection training. This is truly what they want to do, you are presenting them with the challenge they were bred for. 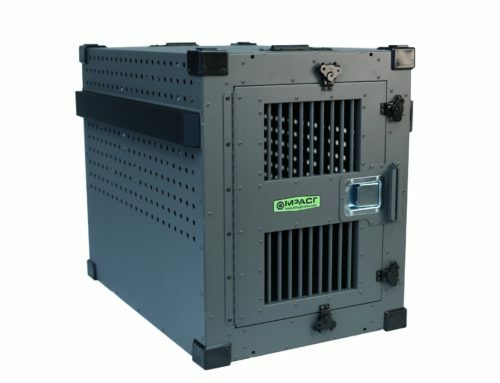 This combination provides the best raw materials to build the dog’s FIGHT drive. 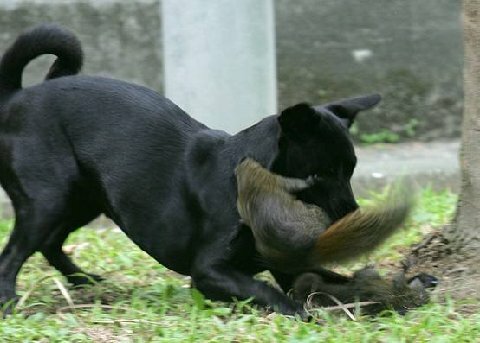 However a dog with only small prey drive and moderate to high courage will be trained with many techniques to concentrate on the small prey drive. The techniques are designed to make the sleeve on the helpers arm the “target of the aggression” and not the man himself. By conditioning the dog in this manner we are requiring less large prey drive and less courage as we are teaching him that he is never truly challenged, we will compare “threat levels” to the dog in further detail later. Prey drive will not sustain a dog in a violent or challenging encounter. He views himself as a predator looking for chasing, catching the prey object. A prey object that provides sufficient resistance or stress results in the predator giving up to seek an easier target or situation. 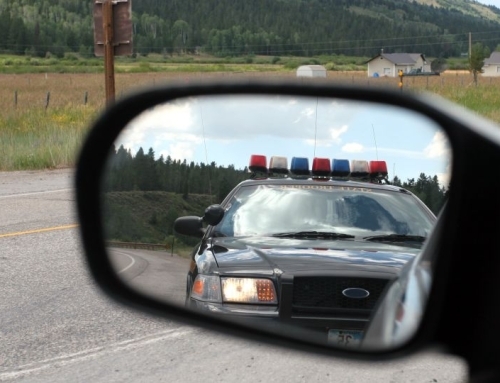 Prey drive bites may not provide sufficient pain compliance for true protection or police work. 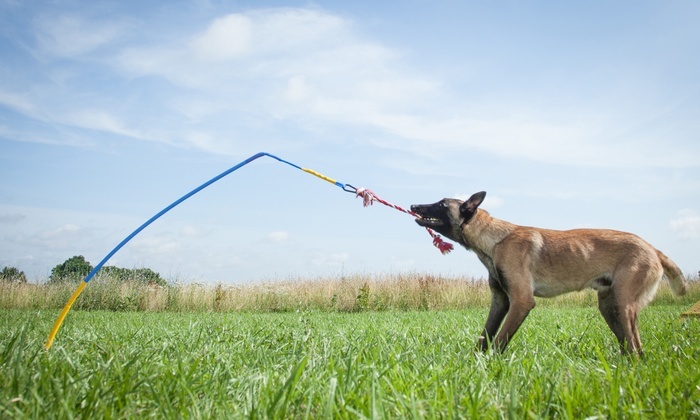 The prey bite will result in the dog pulling down and away from the subject (tug-o-war), and while may have a full mouth bite the bite will not be as strong or intense as a bite from the same dog engaged in another drive. One problem as I see it is, that on the surface you can train the appearance of performance, but dogs will fail in trial or in real life when faced with what they perceive as a true challenge. 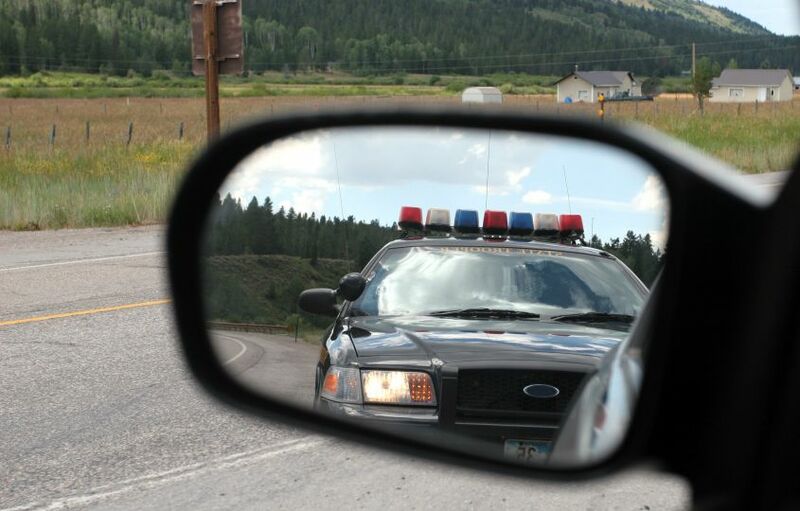 The reliability is simply not there for police or true protection work. 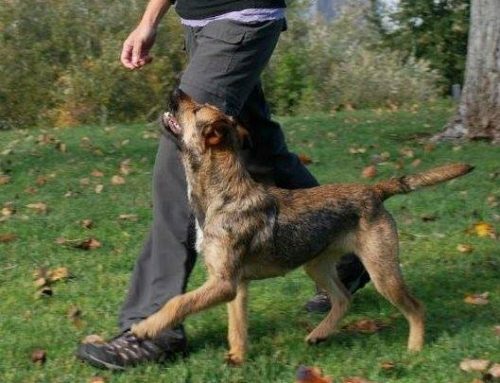 The manipulation of this prey drive mentality allows for the small prey drive dog to appear as strong and genetically sound as the large prey drive, confident dog. This simply is not the case. A dog can compete in a sport while mainly working his prey drive, but this is smoke and mirrors so to speak. If this dog is placed into a stressful or new situation then it will likely show insecurity or retreat. This may be commonly recognized when a dog who performs well under the controlled training scenarios where every caution is taken to keep the dog in prey, to control the pressure on the dog, to make it easy on him always, is exposed to a trial in a new stresses such as a new location or with a new helper, new equipment, does not perform well. PREY drive is critical in training but in my opinion it should not be the only drive developed or utilized in training. Fight drive will better sustain a dog in a violent or stressful encounter. The dog will increase his level of effort or aggression when faced with a harder challenge and fight harder and at more dependable levels. The dog will push into the sleeve/suspect to exert more pressure from the back of his mouth. The pain compliance in police or protection work will be more effective. This results in a powerful bite with extreme pressure and comparatively less damage done from pulling, or re-gripping or slipping the grip. As stated when working in FIGHT the dog will view the Decoy as a fighting partner instead of as prey or a threat. If the dog has the proper genetic makeup for us to build his fight drive then we will see a dog with a great deal of self confidence in all environments and situations. It will not matter where the training or trial is or who the decoy is to the dog. He has the confidence in his fight ability to believe he will win every circumstance and will display a high level of intensity not seen in younger or insecure dogs. 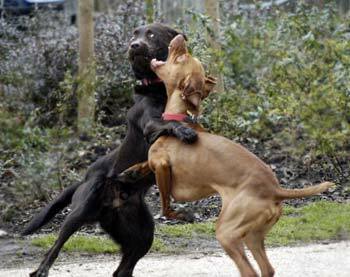 Dogs with a high large prey drive or high levels of dominance behaviors often develop the highest levels of fight drive. Dogs operating in FIGHT are there because the want to be like the boxer in the ring going for the title. They fight because the want to. SURVIVAL– (Flight or Self Defense). Here is where a lot of confusion appears to come into play. Survival can be closely explained by the human terms we have all learned about known as “Fight or Flight.” The problem is using the term “fight” in this instance is way different the FIGHT drive we discussed above. If the term DEFENSE has a place in my dog training vocabulary it will fall under the SURVIVAL drive. This is the place where we threaten the dog the most. The threat perceived by the dog coming from the decoy is that the decoy is greater, stronger, than the dog. The threat represented by the decoy in this case is critical and the dog perceives itself as being in danger. When faced with this level of threat we will get one of three responses. The dog will either fight for survival, run for survival (also avoidance), or totally submit in hopes of survival. There is panic in the dog. If a dog is in the fight in survival mode it is there because it has to be, because it has no other viable option. Unlike the boxer getting into the ring to fight this is like the Gladiator of old Rome. Forced to fight. Kill or be killed. I never want to push a dog to survival drive. The emotional damage and confidence damage can be catastrophic. If an inexperienced decoy tries to work a dog into fight too early or before that particular dog is ready then the dog may jump straight to survival. Working a dog from PREY to FIGHT takes a skilled helper who can read and understand the dog and know how much pressure can be applied before pushing it too far. A dog working in SURVIVAL is NOT HAVING FUN. Sometimes we can mistake another dog behavior for SURVIVAL or avoidance when in fact that is not where the dog is at. During training we may reach a place of confusion or hesitance in the dog. This is the place where the dog is stressed when presented with new pressures or situations and he steps back or hesitates. This is a good thing I like to see this happen with a dog. This is the place where I see the lightbulbs coming on in the dogs mind. The place where he is making decisions and learning to overcome his hesitation to deal with the stress in a productive way and will result in him returning as a more confident, stronger dog. It is important that the helper recognize and understand this. This is a pivotal moment. 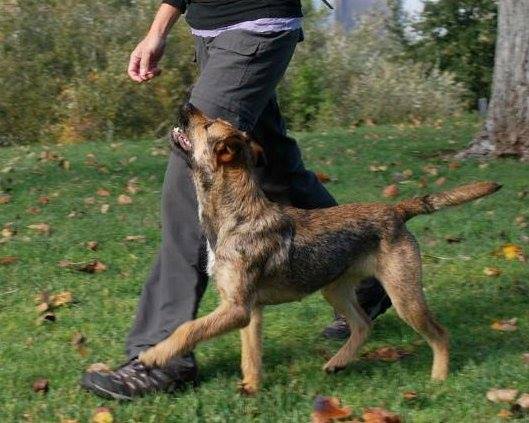 The right training can progress a dog and build confidence but if an inexperienced helper applies too much pressure during the hesitation they can force the dog into flight or avoidance. If this happens it can take a long time to bring the dog back to the confident place he was in. The next three drives I will talk about have less to do with training in protection and more to do with education and understanding behaviors that are going on so as not to lump them all together as a “catch-all” behavior. But before I get into that I am going to summarize the decoy dog relationship as it applies to the other 3 drives. RANK– This is the dogs desire to achieve a higher position in the pack. I often explain rank drive as the canine world manifestation of human ambition. Simply put. Some people have the desire to succeed and some do not. Some dogs will have the desire to better their position to challenge a perceived weaker member. This may be growling at the handler while under stress or corrections. It may be growling at family members or other dogs in the home. While I do believe that the handler can and should handle any rank behavior directed towards him in order to establish his place I do not believe that the handler can set the rank for other members of the pack. For example if your dog shows rank behavior towards your child it is not possible for you to teach the dog that the child is of higher rank than he is. 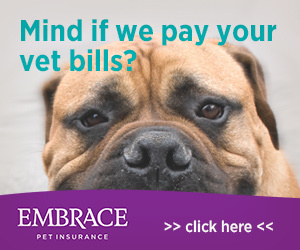 There is no way that the dog will ever accept that fact. In order to deal with this the handler needs to teach the dog that the other pack members are off limits. In effect, as the true leader, you have to claim the other members of the pack as your property. The dog will not respect the child but he can respect that the child is yours and inappropriate behavior will be dealt with by you. GUARD– is territorial behavior when the dog protects their yard, vehicle, personal space. Barking warnings to strangers or other animals. Connected barking, hackles may be up, exposed teeth as a warning, etc. This is often confused with aggression when in fact a dog may have high guard drive but as soon as the stranger comes into the yard or house they would lick them to death or run away from them. PROTECTION– protection manifests itself when there is a perceived challenge to a pack member. This is the mother dog protecting her young. The dog protecting a child or handler. Protection is influenced by pack drive but not controlled by it. Protection can also be confused with RANK behavior. I have heard people describe behavior of their dog growling at a child or spouse and they will immediately make the excuse for the dog that it was just protecting them when this is not the case. Protection will only come out if there is a perceived threat to the pack member. Rank will be displayed regardless of whether the pack member is around or not and can have a much more subtle trigger. All of this relates to the importance of the decoy when working the dog. It doesn’t matter if you are working a police dog, a protection dog, or a sport dog, the purpose of the decoy is the same. The decoy exist to help train the dog and should be constantly reading the dog and evaluating the confidence level displayed and evaluating what drive the dog is working in. If the dog looks like it is losing confidence and is about to switch drives then you must immediately alter your behavior and show the dog they are winning. The decoy, responding to the dog’s behavior, modifies their action to provide sufficient challenge so as to enhance the dog’s drive and immediately switch to fear if the dog begins to lose confidence.